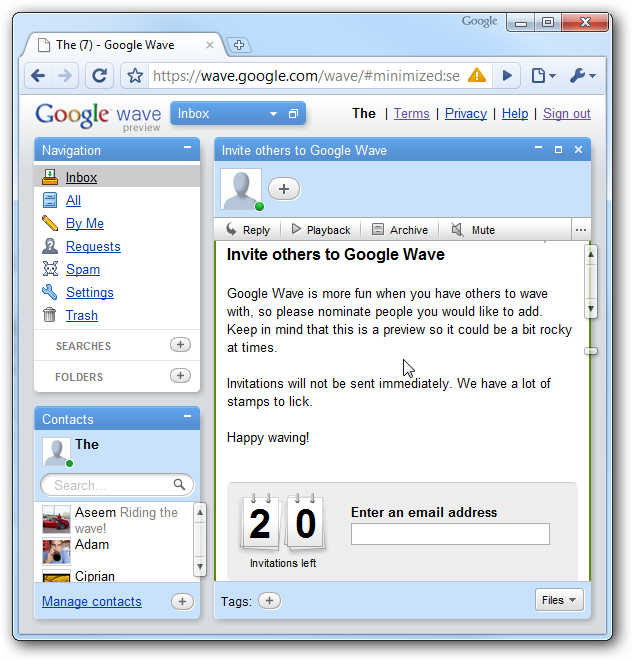 We Have 20 Google Wave Invites. Want One? Google Wave is all the rage these days, probably in large part because you need to be invited to participate in the preview version. Want an invite? We’ve got 20 of them to give away. Sorry, the giveaway is over! 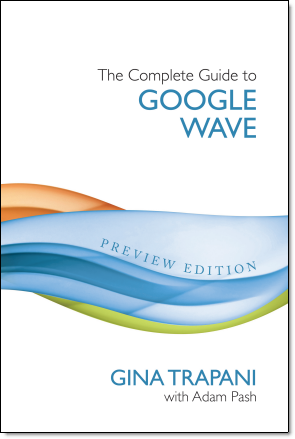 What’s Google Wave, You Ask? Right now, that’s the extent of what it does, though the underlying framework will eventually allow a lot more interesting uses. 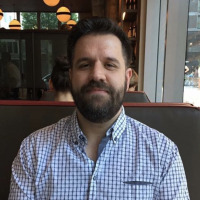 Instead of bothering to take you on a tour of how it works, instead we’ll just point you towards the very best source on the subject, the Complete Guide to Google Wave, written by Adam Pash and Gina Trapani from Lifehacker. Be Quiet and Give Me My Invite Already! Leave a comment with your idea for a topic that you would like to see us write about. Include the keyword googlewave in your comment (for spam checking purposes). Make sure to use your real email address (nobody will see it but us). We’ll pick 20 random people from the comments, and announce the winners in our weekly roundup, so even if you are reading this on Friday you can still participate. Note that your comment might not be approved immediately, but rest assured that it’s sitting in the queue.